Ahoy! Welcome to the Official 7 Cups Wiki!! **INFO THREAD** Read all about this new tool here! Here you will find a rich database of information about our community, projects, best practices, topic guides and much more. This is a place to collect and store the best ideas we all have together and the problems we have solved together. Listeners can plan and organize volunteer projects here on this wiki. Members can contribute to projects and documents. Subcommunities can each tend their own knowledge gardens and we can use categories and tags to collaborate around any common purpose or goals. Yay! Welcome to the 7 Cups wiki! 1. You can make up a link to a page by putting [ [ (with no spaces) before a word or phrase and ] ] (again no spaces) after it - if the article doesn't exist yet, clicking the link will create it! 2. There is a wiki section called Sandbox where you can practice making pages and subcategories and editing stuff without breaking anything or worrying about making a mess. 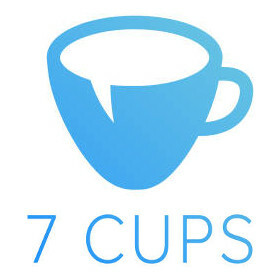 7 Cups - Everything You Need to Know! 7 Cups Wiki Info & Best Practices! What does the community management staff do all day? Chatting with listeners - everything you need to know! How to create a successful checkin system!